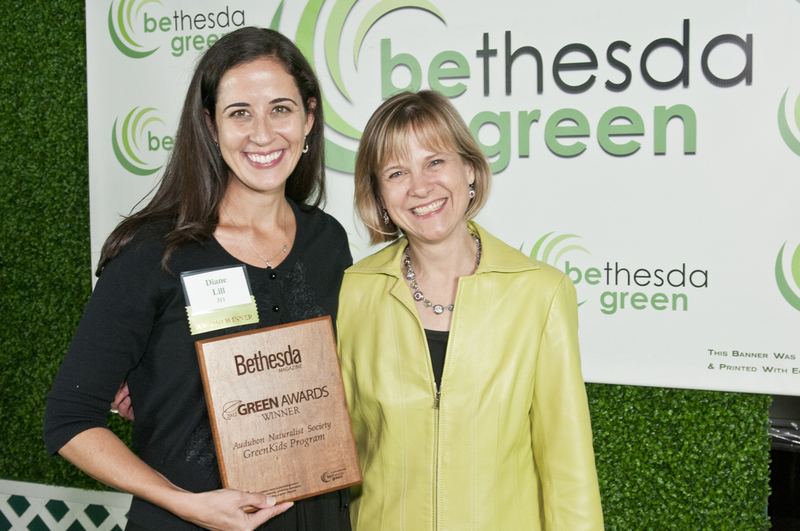 The Universities at Shady Grove (USG) was among the recipients of the inaugural Bethesda Magazine Green Awards presented at the Bethesda Green Gala in 2010. We’re revisiting previous Green Champions, with a new cohort scheduled to be presented Thursday, Oct. 3, at the 2013 Gala (more info here or purchase tickets through Oct. 2 at this site). 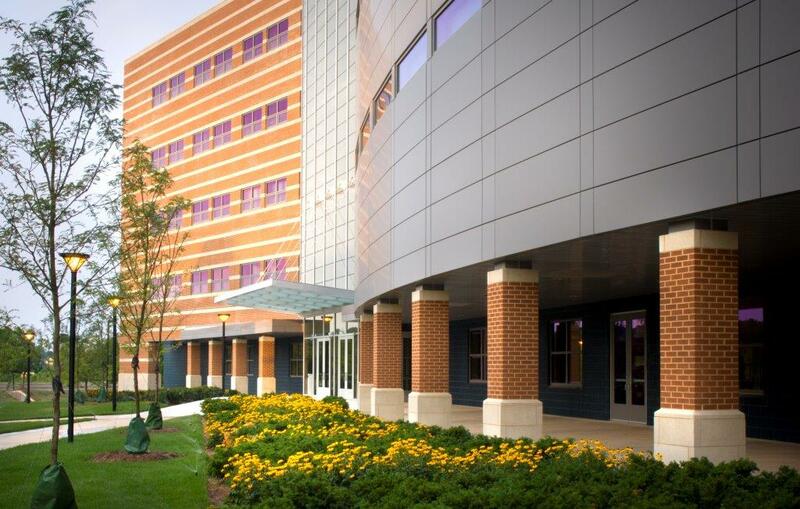 The Camille Kendall Academic Center on the USG campus received LEED Gold certification in 2007. At the time it was the largest academic building in the state of Maryland to receive such an honor. This amazing achievement inspired a fresh perspective on environmental stewardship in the Shady Grove community. “More sustainably and dynamically” seems to be the answer developing each day on campus. Jessica Nardi, Director of Administration, said that the USG administration began analyzing the way in which all aspects of the university — procurement, planning and housekeeping, for example — operated on a daily basis. No matter how large or small the operation — from waste management to the type of salt used during the winter season to melt ice — USG began making decisions by taking environmental impact into consideration. Some of their current green initiatives include campus wide recycling, energy and water conservation efforts, use of local produce, and environmental education. Jessica described their effort to serve the USG community as a “living laboratory,” an opportunity to experiment with and implement certain green efforts. An example of this can be seen in their work with Savenia Labs, an independent testing laboratory and information services company that provides energy and environmental impact ratings on popular appliances and electrical products and one of the Bethesda Green incubator companies. USG and Savenia Labs partnered to create a display to show members of the community the importance of also procuring small appliances with better energy ratings and sustainable life cycles. All of this progress, however, would not be possible without the commitment and optimism of the student body. USG administration should be acknowledged for outlining and assembling the vehicle for effective action, but the students are indeed in the driver’s seat. Jessica characterized USG students as “dedicated and hardworking” individuals. So, she is never surprised to see their constant contributions (green-focused class gifts, carpooling, green tours, for example) to the sustainability mantra of USG. Likewise, it is inspiring to those of us outside the USG community to see both the holistic approach and shared responsibility evident on campus. 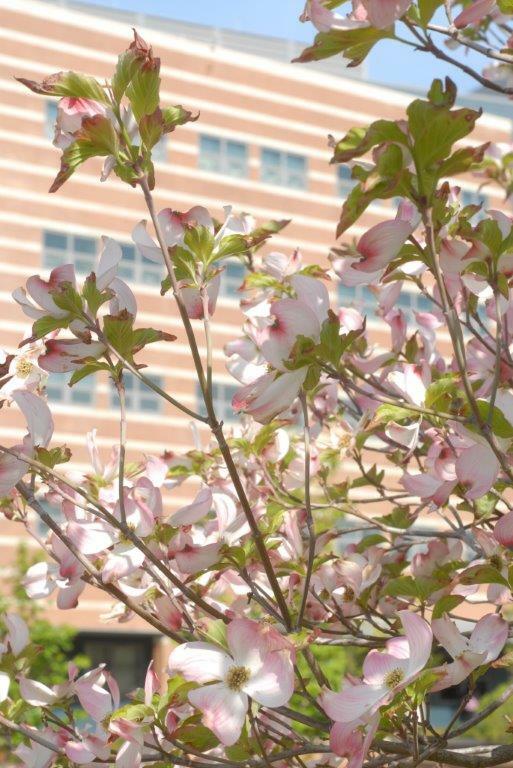 USG is currently in a period of growth with a future that seems even brighter and greener. They have plans to construct a new parking garage in the next two years — a highly energy-efficient structure via a green construction process that’s also equipped with rainwater capture. Plans are also under way to construct a new Platinum LEED-certified 200,000 sq. ft. building in the next four years. USG has done something that is not always easy — they made a change. The Camille Kendall Academic Center marked a new standard of academic buildings on campus and ignited the other amazing efforts taking place today. Conveniently (and remarkably) enough, one action, one project, or one idea is all it takes to ignite change. We see what one building project did for USG. If we all decide to make that one change, the possibilities for a more sustainable future are endless. A recent graduate of Denison University, Jon Akpapunam is an intern at both Clean Currents and the City Parks Alliance. He is passionate about both learning and developing new perspectives and strategies to create a more sustainable future. What do these three words have in common? Well, for one, they all begin with the letter “s”—but they also accurately describe Bullis School, located in Potomac, MD. Bullis School made a commitment to environmental stewardship and education several years ago—and as an independent, college preparatory school, the decision to embed environmental consciousness within the school community was solely a decision of their own. All of this seemed to jumpstart in 2005 with the Green Cup Challenge, a recycling challenge in which middle school classes participated pioneered by teacher, Rita Gerharz. Clearly inspiration was drawn from this, as many other efforts followed shortly after. In 2009, the school implemented an 11kW solar photovoltaic system (consisting of 540 panels) on the roof of their Blair Family Center for the Arts, with all remaining electrical needs fulfilled through the purchase of 100% wind power. The Bullis Community Garden grows 30 different types of crops, providing food for the school’s dining hall and space for classroom use. It does so without the use of chemical fertilizers or pesticides. Also, as a Buddy Bison School, environmental education is incorporated throughout the curriculum and the partnership with the National Park Trust. Second grade teacher, Carolyn Cohen, won the first Buddy National Teacher Award for Outstanding Environmental Stewardship from the National Park Trust. Bullis was also ranked fourth in the country for its renewable energy use by the U.S. Environmental Protection Agency (EPA) Green Power Partnership, awarded membership to the 2011 Green Power Leadership Club, and received a Green Award from Bethesda Magazine in 2011. Efforts have not ceased, however, with recognition in the last couple of years. Students at Bullis continue to be environmentally aware and interested. “Young people enjoy making a difference and leaving an impact,” explains Susie Zimmerman, the school’s Communications Director. She attributes some of the school’s success in this regard to the early exposure provided to students. Environmental education is incorporated into the curriculum starting in the second grade. “Bullis seeks to prepare all students to become caring citizens who further demonstrate life-long proficiency in 21st century skills related to critical thinking, communication, creativity, collaboration, and resourcefulness,” the curriculum mission states. Critical thinking, communication, creativity, collaboration, and resourcefulness are all vital skills necessary to lessen environmental impacts for a more sustainable future. A school—teaching sustainability, acting as an environmental steward—that is Bullis. Bethesda Green celebrates 5 years of promoting sustainable living with a fabulous Gala at the historic Bethesda Blues & Jazz Supper Club, Thursday, October 3. This event brings people from DC metro area who share the vision of a more green and sustainable community. See more info about the Gala. Highlights of the evening include honoring the 2013 Bethesda Magazine Green Award winners — businesses, organizations, communities and individuals who are providing green services or promoting and living a green lifestyle. Have you seen kids excited for a salad party? Kids who participated in GreenKids’ Salad Science program are. 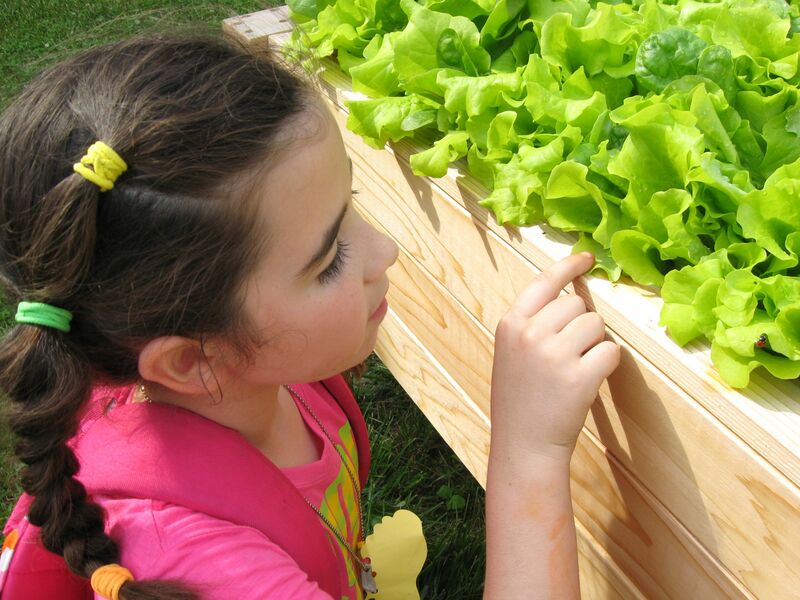 Salad Science is just one of the fun programs offered by GreenKids program at Audubon Naturalist Society (ANS). Students grow their own salad greens and learn about plant parts and nutrition over a six-week period. At the end of the program, students partake in a salad party—with toppings provided by Whole Foods Market—to enjoy the fruits of their labor. Such programming enables GreenKids to leave its mark on students and is a big reason the program received a 2012 Bethesda Magazine Green award. GreenKids is a grant-funded educational outreach program that establishes two-year partnerships with participating schools. It offers free resources and field experiences—with the ultimate goal of receiving Maryland Green School Certification from the Maryland Association for Environmental and Outdoor Education. ANS Deputy Director Lisa Alexander started the program as a pilot in 2005, eager to assist her child’s school, Rock Creek Forest, become a Green School. 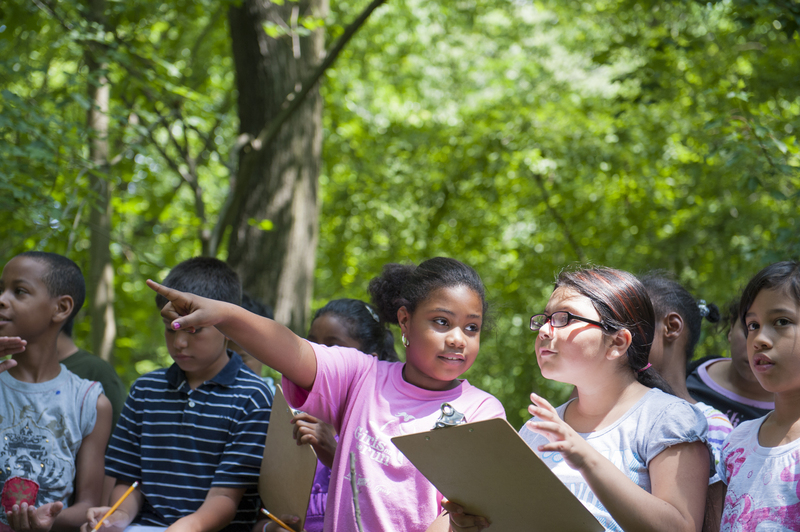 The pilot program led to new knowledge and exciting possibilities for environmental education. Since 2005, GreenKids has raised more than $1 million to directly support the environmental science literacy of Montgomery County and Loudon County Public School students and teachers. The program has engaged more than 28,000 students with hands-on lessons. The goal of GreenKids is to connect students with the natural world and instill in them the understanding “that there is more to life than just you,” said Diane Lill, Director of the GreenKids program. Through lessons focused on composting, gardening, recycling, watershed education, energy conservation, and habitat restoration, this program allows students to learn more about the role they play in our world. 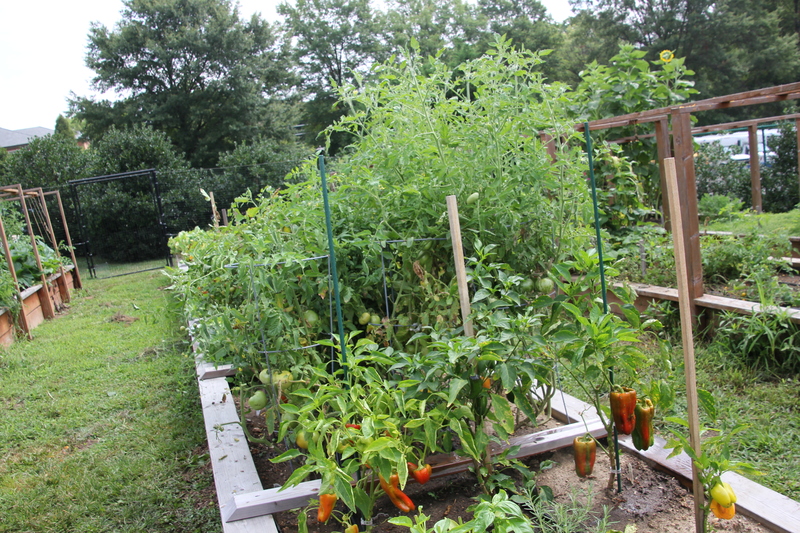 Enthusiastic students learn about natural resources and the process of growing their own food. The program also supports some wonderful (and sometimes under-appreciated) teachers with professional development and works with teachers to make these programs an enduring part of the curriculum. Through fun activities and outdoor trips, GreenKids provides students and teachers with great knowledge that will last them a lifetime. “What do you remember from elementary school?” Diane asks, “Awesome field trip, outdoor activities, or perhaps an amazing teacher?”—all of which GreenKids encapsulates. Diane’s work for GreenKids came full circle at the 2012 Bethesda Green Gala. During her speech, Diane thanked the teachers that took her outside as a young student. Following her speech, two Gala attendees inquired about her outdoor experiences as a child. To her amazement, she realized that they were teachers from both her Outdoor Environmental Education and C&O Canal experiences and was encouraged that they are still involved in the green movement. “One field trip can have an amazing experience on someone’s life,” she explained. It is obvious her experiences as a child had a lasting impact; perhaps her current students will contribute to the green movement in years to come as well. Bethesda Green celebrates 5 years of promoting sustainable living with a fabulous Gala at the historic Bethesda Blues & Jazz Supper Club. This event brings people from DC metro area who share the vision of a more green and sustainable community. Highlights of the evening include honoring 2013 Green Award winners and recognizing businesses, organizations, communities and individuals who are providing green services or promoting and living a green lifestyle. Bethesda Green has launched a series of workshops and a venture forum to help grow the green business economy in the region. The next workshop on the schedule, Thursday, Jan. 31: What Investors Are Looking for and How To Pitch. We will host our 4th annual Fields of Green Internship Fair on Saturday, Feb. 9. This is a great opportunity for young people to line-up internships with companies and non-profits offering job experience in the green business sector. Saturday, Feb. 16, we will once again host a TEDxManhattan “Changing the Way We Eat” official viewing party — a day-long series of live-webcast presentations broadcast from New York. A special feature of the event includes a presentation by Cheryl Kollin about Farm to Freezer by Full Plate Ventures and Bethesda Cares, a program Bethesda Green helped launch in 2012. Saturday, May 11, be on the lookout for our 4th annual show connecting residents with vendors in the green service sector. A new addition of the Bethesda Green portfolio, the 2013 film festival will be presented in the heart of downtown Bethesda early summer. Later in the summer, around July and August, Bethesda Green will focus on local and sustainable food in the Montgomery County Agricultural Reserve. As we round the corner into autumn 2013, we will celebrate our 5th anniversary with the annual Bethesda Green Gala in early October. We hope to see all of our Bethesda Green friends at one or many of our upcoming events. For more information about Bethesda Green plans for 2013, please contact Program Manager Sharon D’Emidio, sharon@bethesdagreen.org. 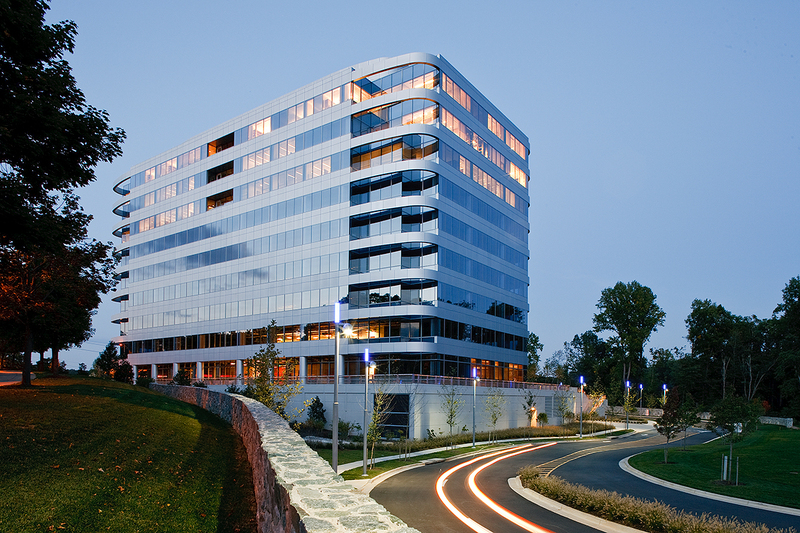 As I approached 2000 Tower Oaks Boulevard to attend the 2012 Bethesda Green Gala, I grew excited about finally experiencing this LEED® Platinum office building which has won countess awards and proclamations. The Tower Companies and Lerner Enterprises, the companies responsible for the building and Gala host sponsors, refer to it as the healthiest building ever built. Why? 2000 Tower Oaks Blvd at dusk. 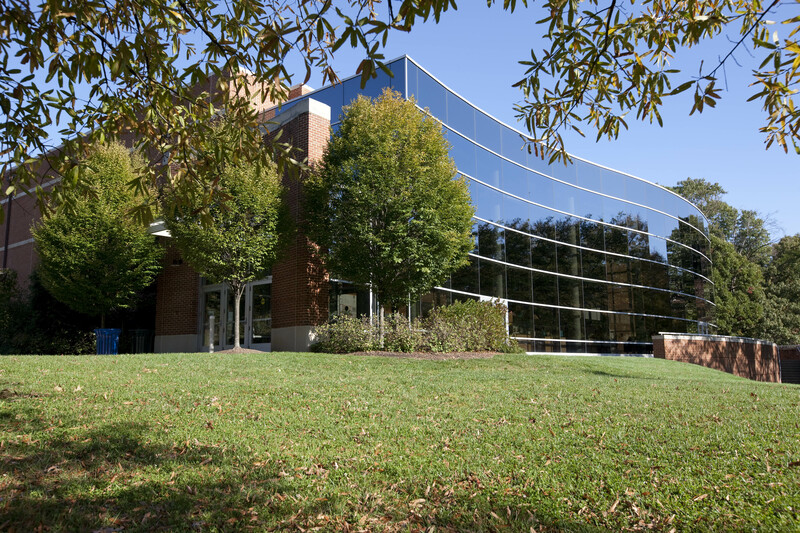 First off, it is one of two office buildings in Maryland to achieve LEED® Platinum certification, the highest honor that the U.S. Green Building Council can bestow. The other building is the Chesapeake Bay Foundation’s Philip Merrill Environmental Center in Annapolis. Tower and Lerner have purchased wind energy to meet 100% of the building’s energy needs and the building’s efficient design reduces energy usage by 28% and reduces water consumption by 41%. But that is just the beginning. Building amenities include a green roof and a café that serves organic food. Similar to other office buildings, it has a state-of-the-art 2,500 square foot fitness center with flat screen TVs, showers and lockers. But unlike others, it has something I’ve never seen before: a Pilates/yoga/meditation room. If you are a company looking for new office space, you might want to consider 2000 Tower Oaks Boulevard because green buildings improve employee productivity. This building has the added feature of improving tenants’ health based on its innovative system and building design. Companies can lower their operating costs by improving productivity, health and fostering a corporate culture that engenders loyalty which lowers employee turnover cost. 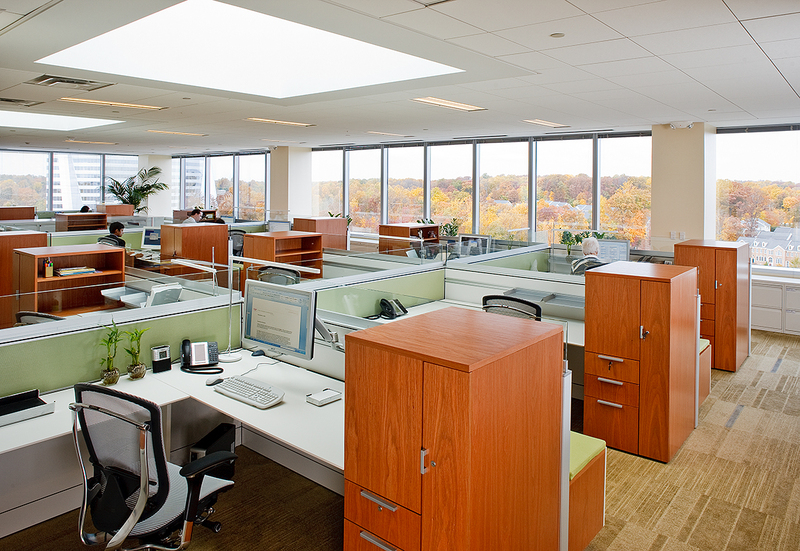 The Tower Companies and Lerner Enterprises also take pride in the fact that the building is operated in a green manner through green cleaning and other operational practices. So what prompted Tower and Lerner to build such a green building? Nearly 17 years ago Jeffrey Abramson, one of the owners of The Tower Companies, realized that buildings contributed 40% of all greenhouse gases and decided the real-estate business needed to take responsibility for their impact on the environment. Therefore, he realized that every new building needed to be green. In 1994 The Tower Companies completed the Blair Towns, the first LEED® certified multifamily building in the country. 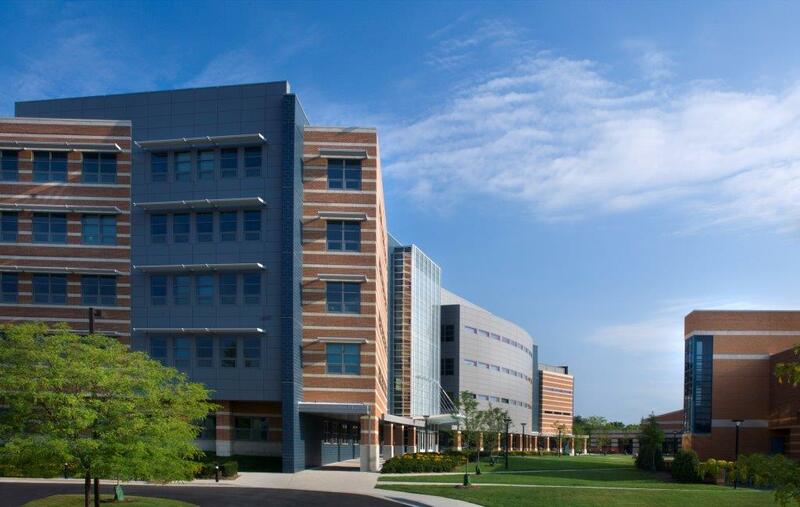 Lerner Enterprises’ dedication to green was also part of its corporate culture since the design and construction of its now LEED® Gold Certified 20 M Street. 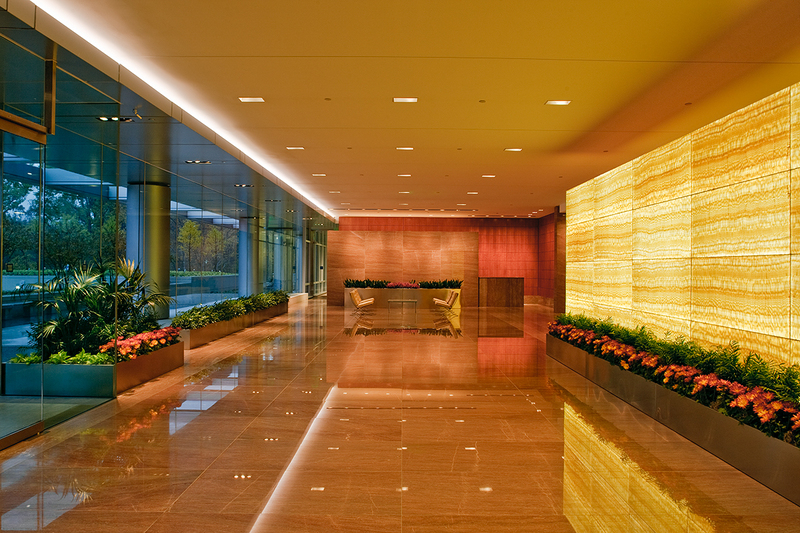 The original goal at 2000 Tower Oaks was to build a LEED® Gold building, but as the project progressed it became apparent that the developers had nearly enough points for Platinum. With the help of building contractor Whiting Turner, Tower and Lerner made some decisions to achieve every point they could. Some choices were easy such as designating parking for hybrid and fuel efficient vehicles. Other choices required design and some innovation. For example, rather than using regular tap to water the grass, they did the job by collecting condensate from the air conditioning and some natural under slab drainage. These choices, along with some energy efficiency improvements, made the difference. The biggest challenges with constructing a LEED® Platinum building was making sure that everyone knew that it was their responsibility to make it happen. Everything needs to go right and everyone needs to be involved. The designer has to offer material choices that are sustainable, the project managers on the owners’ side need to ask the questions during design meetings. The owners must realize that some design choices might be limited by materials. Today, sustainable material choices are much easier to obtain than they were 5 years ago. Once the building is under construction, the contractor and all the craftspeople must know their role in ensuring the correct materials are used as specified in the drawings. The key to overcoming this challenge is starting to work with an integrated design and construction team from the beginning. For more information about the healthiest building in Washington, visit the 2000 Tower Oaks Boulevard website. Lori Hill is the Go to Gal for Green Living. Visit her website at www.lorihillinc.com.